CPT Burt assumed command of the company at FSB Ike. 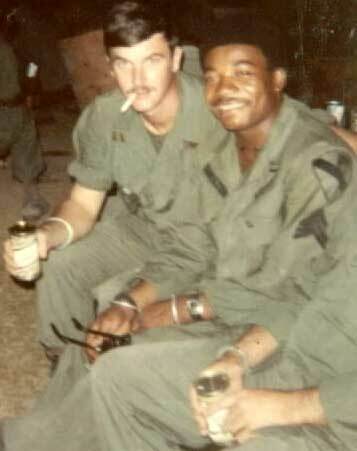 After operating in the area of Fire Support Base Ike, 2nd Battalion 5th Cavalry moved north to a Green Beret camp in the vicinity of Loc Ninh in Binh Long Province, very near the Cambodian border. Movement was done by C-130 four engine aircraft, probably from Tay Ninh to the camp. (Source: Jim Holcombe) After landing, Comanche moved out on foot to a new night defensive position. We went in on C-130s to an old Green Beret camp that was still active; I remember real well because the loadmaster was a college friend of mine. We had walked through a village that bordered the Green Beret landing strip so I believe we picked up some Cong who paralleled our path. I think it was Viet Cong, not NVA, that hit us later. 1st Platoon (1/6), under LT James Holcombe, and 2nd Platoon (2/6), under LT Rudy Cariaga formed the main perimeter around company headquarters, while a squad from 3rd Platoon (3/6), under LT David Smith set up a hundred meters apart from the rest of the company as an ambush. Obviously, the Viet Cong saw the company moving into position. A few minutes after arrival, and while still setting up, Comanche came under intense rifle and rocket propelled grenade fire. We had just stopped and formed a perimeter. A few trip flares were out but no one had yet dug a hole. The jungle was pretty thick and it was unusually late for us to be setting up – no time for quick recons to our front when we took the incoming. Don Ray was apparently prone, perhaps already without his helmet, when one hit right next to him. There was a three-inch round hole in his head – I don’t think he died immediately but he never suffered. I was wounded in the right elbow. When the shooting finally stopped we brought back in the squad that had been left in ambush. Don Ray had been the one to put the trip flares out, so they had not been recovered. 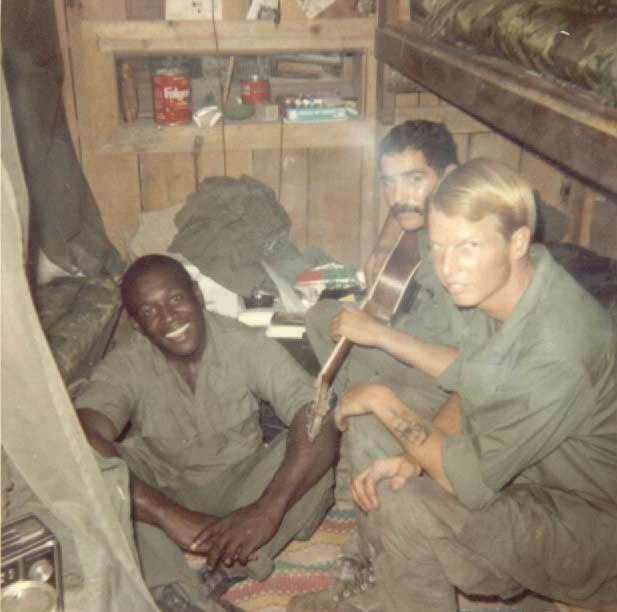 When the squad came in, they tripped a flare and I can’t tell you how panicked everyone was; Dave (Smith, the 3rd Platoon Leader) chewed me out about the flares, but I told him we couldn’t locate them without Don Ray. I remember we brought the Cobra gunships in pretty close that night. The Medevac was called in at darkness with it's spotlight beaming as the jungle penetrator was lowered. After the heavy artillery prep, "Max" and "Spooky" were pelting the area around us. Flares were almost constant. Fortunately the enemy didn't stick around. I must admit that being under the Slick as Don Ray and Capt. Burt were hoisted was one of my most worrisome moments in the field. I stood as the guide for the Medevac pilot. I can remember Don Ray's head collapsing as he was raised. Having forgotten his name, it took 30 years for me to learn of his fate at our reunion last February. Capt. Burt acknowledged me as he was extracted with the "V" signal. I would certainly like to see him again. 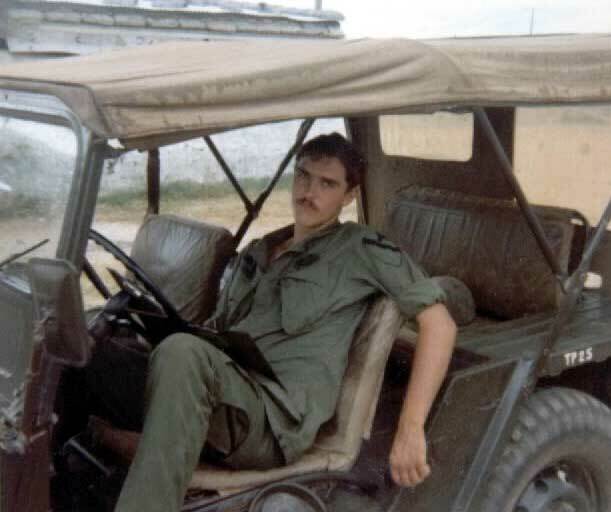 I remember one of my men, I think his name was Norbert, intensely widening the clearing before total darkness with his machete to give the chopper a better “spot.” Others were quickly reinforcing the perimeter to secure the Medevac operation. When you’re 18-21 years old in a situation like that, everyone does the right thing or learns quickly. In the dark, and in the enemy’s home one doesn’t know what to expect, but the adrenalin flows. The medivac was later that evening. There was no open area for the medivac to land in so they lowered the wire stretcher and we hoisted everyone up. I don’t remember who went out that night other than the CO and Don; everyone else went out the next day. Don Ray was alive when he was medivac’d but in really bad shape. I had not intended to go in because my wound wasn’t serious, but by late the next day my leg was purple from my hip to my knee, so I went in and they cleaned it out and gave me an antibiotic and sent me back. When Don Ray was killed, I was out of the field and assigned as the mail\awards clerk. Don Ray lived for about a week after getting hit. I remember because of a problem we had with his mail. 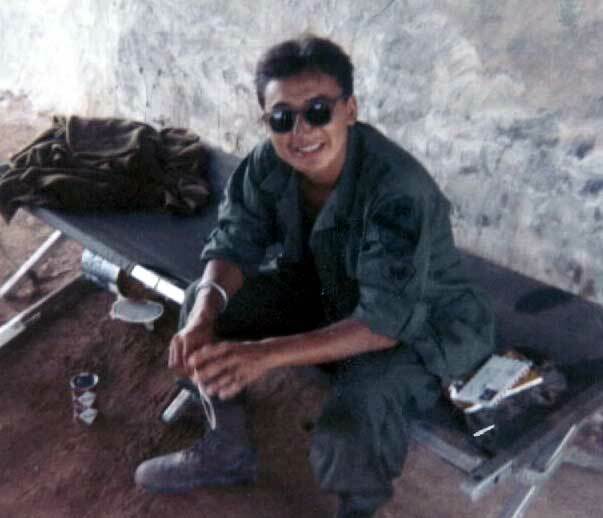 2nd Lt Rudy Cariaga, 2nd Platoon Leader, took command then. [ When CPT Burt was medevac'd ] We dug in for the night. A long scary one. We kept getting probed. Trip flares kept going off. Rudy kept telling the kids to keep the ark out! Don't blow the claymores cause the gooks probably already turned them at us. Thru the grace of God and the courage of those kids on the line we made it thru the night. Battalion. knew we were in a tight spot. Next morning a slick came in and off jumped Bob Brace. No fanfare - he just assumed command right ten and there! He commended Rudy for a job well done Then, if memory serves, he just moved around telling all the kids they did good and to relax. He saw me with the bandaged arm an told me to go back to Ike, and get it taken care of. I went back out the next day on the log bird. Glen Geark served his time out in the weeds before landing a rear job. If you could see the front of Glen's jeep, you would read "Ready Sir" in white letters just below the windshield. Inside the hooch at Tay Ninh. With the guitar is Joe de Jesus from New York City. On the floor is Mike Black from Washington, DC. Unfortunately, we don't know the name of the third trooper. Can you help?